Regenerate the immune system, the joints and the skin with Lauralep nigella oil. 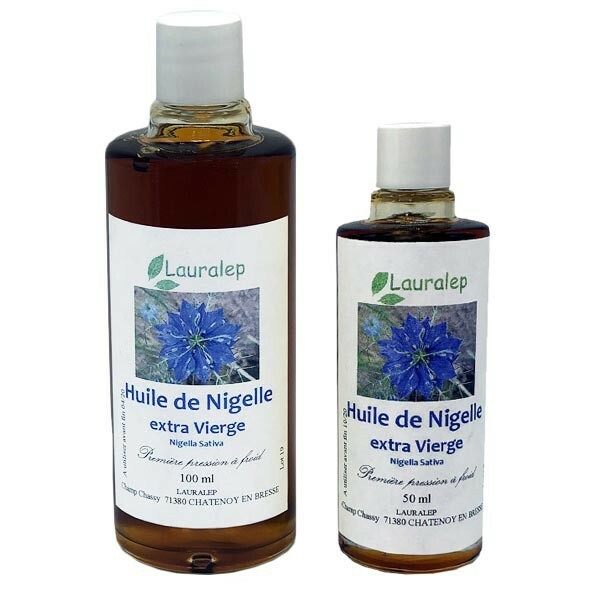 Nigella oil (or black seed) originates from the Middle East and was used by the pharaohs for its calming, revitalising and anti-bacterial properties. Simply massage into aching joints or to treat dry skin conditions, nigella oil can be combined with a moisturiser or shampoo and applied as required. For skin conditions, use alongside argan oil soap which also hydrates and cleanses. Nigella oil can also be used as a powerful dietary supplement with benefits for the immune system. Always read the instructions on the label or speak to a doctor before taking nigella oil. Extra virgin cold-pressed nigella oil.